Throughout Northern Virginia, Washington DC and PG County - over 361,000 people are struggling with hunger and of them over 60,000 are children! If you have ever wanted to "do something" but didn't know how to help, here is your chance. 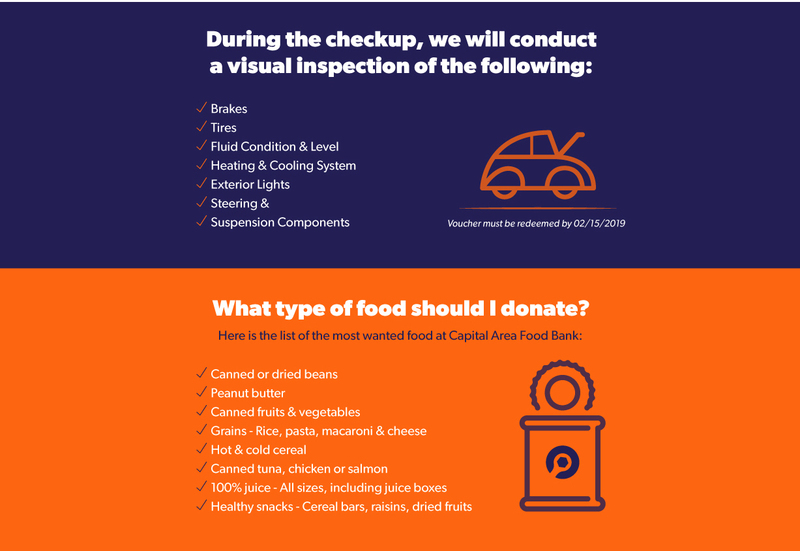 Wiygul Automotive Clinic is partnering with Capital Area Food Drive to support local families facing food insecurity this holiday season. 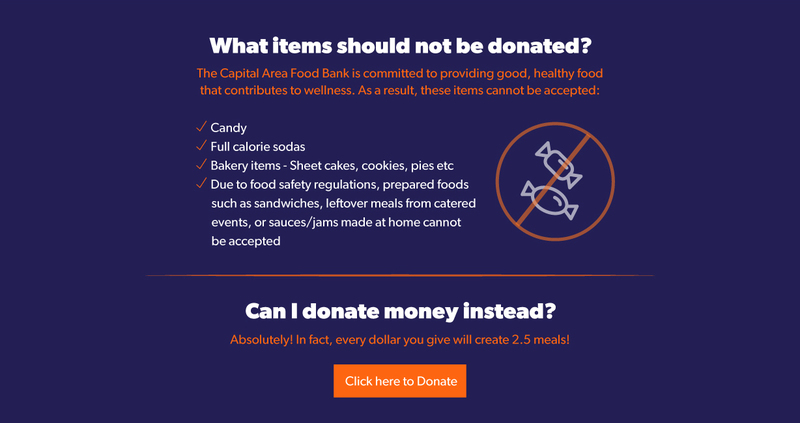 From November 1- 15, 2018, bring your food donation to help local families who lack financial resources to buy enough food for their entire household to any of our DC metro area locations. 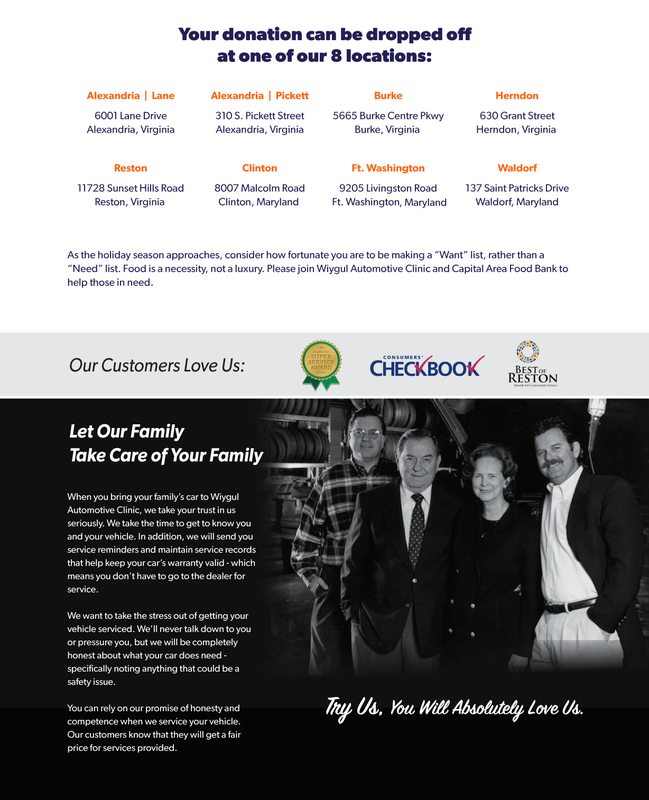 Your contribution will feed kids, families and seniors throughout Northern Virginia, Washington DC and PG County areas. To thank you for the donation, the Wiygul family would like to offer a Free Voucher for a Vehicle Road Trip Check Up to all families that donate food or money to this important cause.